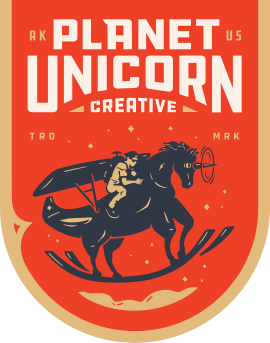 The Planet Unicorn™ Creative & Pegasus Aerials team is ready to help you with pretty much any aerial project. Our Aerial Team, Toby Harriman, Matthew Lavin, Zubeyir Mentese, Jaron Schneider & Andrew Studer have a vast combined experience operating and directing many different types of aerial platforms, from small drones (UAV) to custom built heavy lift drones that can handle RED systems, shooting handheld from open door helicopters, coordinating and operating a RED mounted with a Cineflex or Shotover, shooting from airplanes or if you are feeling something unique is in store we can rig something custom for your special or have a huge network of creative professionals that we work with from time to time. We are based out of the San Francisco Bay Area, Santa Cruz, Anchorage, Alaska & Aspen, Colorado area, but also work on projects all over the country as well as overseas. Contact us today, we look forward to collaborating. “Some” of our offerings are listed below. Please don’t hesitate to reach out, we have experience working all over North America and can offer assistance in any way. With hundreds of flights and hours of aerial photography and cinematography experience. We offer a wide range of service operating from a helicopter. There can be a huge advantage of using a helicopter, especially when it comes to permitting vs drone permitting. We can work in a handheld, stabilizer and or work with a cineflex/shotover higher end system. Depending on the ask, there is always the airplane. Longer distance and affordability. We are a fully insured operation. We are obsessed with anything aerial and would love to assist in any way making your project become a reality. We consider ourself content experts, and that means we can assist you on any project at any level, or take direction and really bring your brand to life. Contact us today and lets see if we are the right fit.